Solar power is being harnessed as a solution to power shortage problems in Jordan's Azraq refugee camp. 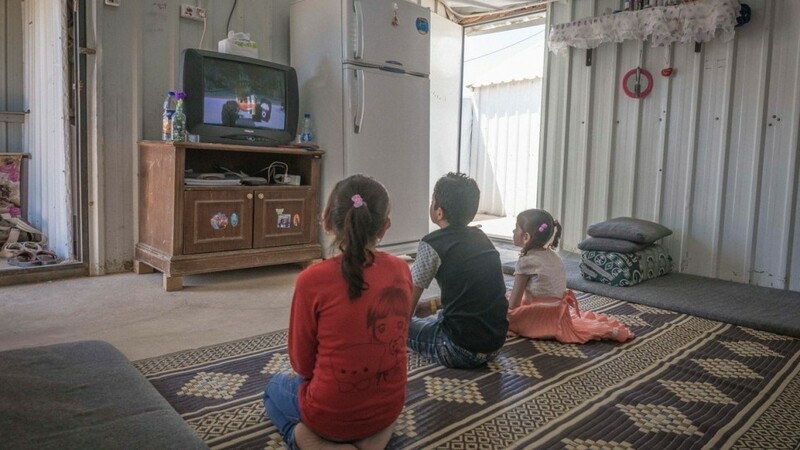 With only sporadic access to electricity, cooking and washing was a daily challenge for thousands of refugees living in Jordan’s Azraq refugee camp. Managing the desert extremes of heat and cold was a constant problem, even getting to the washroom at night was a safety concern for women and children. Now, a solar power plant is bringing reliable and free electricity to 20,000 refugees living in 5,000 of Arzaq’s shelters. The two megawatt plant means thousands of families displaced by the Syrian war will now be able to power a fridge, fan, television and easily charge their phones to stay in contact with family and friends. The plant, funded by the Ikea Foundation, is the first in the world to be built in a refugee camp and will supply residents free of charge. Until this year, the camp had no electricity, leaving households reliant on solar lanterns given to them on arrival and street lighting installed in one of the two camp villages. With electricity in Jordan an expensive commodity, by going green the UN Refugee Agency will make immediate savings of $1.5 million per year. It plans to plough these savings back into other areas where help is needed. With plans to upgrade the photovoltaic plant from two to five megawatts further down the line, it will soon cover all of Azraq’s energy needs for its 36,000 residents. Alongside a green power source, the plant has also created income for 50 of the refugees, who helped build the solar farm alongside Jordanian solar company Mustakbal. Some of these refugees will also be in charge of maintenance work in the future. Since 2011, 5 million people have fled Syria for Lebanon, Turkey and Jordan. 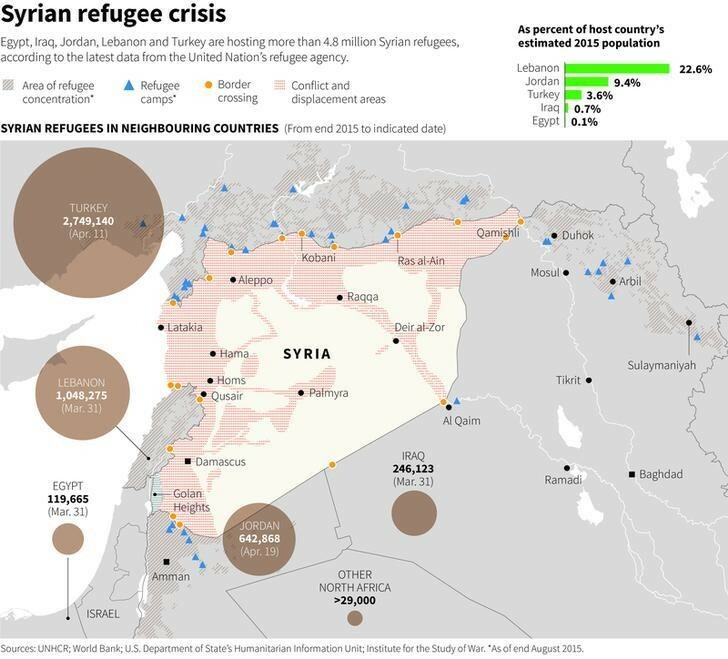 There are estimated to be 6.3m million internally displaced Syrians. At a cost of €8.75m, the solar farm has been entirely funded by the Ikea Foundation’s ‘Brighter lives for refugees’ campaign, that has raised €30.8m for UNHCR projects across Asia, Africa and the Middle East. The Ikea Foundation donated €1 to UNHCR for every LED light-bulb sold during the campaign period with the aim of bringing renewable energy and education to refugees. Other projects funded by the Foundation include 22 biogas plants in Bangladesh, which process 15% of human waste to generate green fuel for cooking. It has also helped to train 740 teachers in Bangladesh, Chad and Ethiopia, enrolling 37,000 refugee children in primary school.